Our parents and families are an important part of our community, and we are excited to welcome you to our family. Your student is important to us, and we look forward to getting to know you over the next four years. Rhodes College is dedicated to cultivating a student-first environment, supporting skills development, and independence. We acknowledge the important role parents and families play in each student’s development and are committed to informing and engaging you as a partner throughout your student’s academic journey. Here you will find resources, important calendars and deadlines, news, and FAQs that impact the Rhodes community. Open Rhodes is a two-day summer program for first-year and transfer students. Families are welcome but not required to attend. Students are housed on campus for the overnight program. The dates for Open Rhodes 2019 are: June 13-14, 20-21, 24-25, and 27-28. Please visit the Open Rhodes Orientation website to learn more. We plan a lot of activities for the week between when your student arrives to campus and when classes begin. These activities and events help students understand the values of Rhodes College and acclimate to the campus. Move-in Day for the Class of 2023 will be announced soon. Please visit the Welcome Week website to learn more. 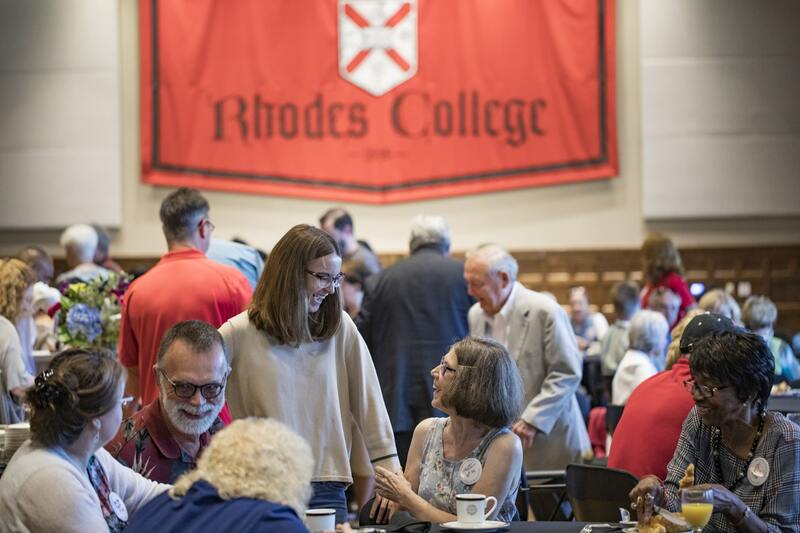 Family Weekend provides an opportunity for parents and families of Rhodes College Students to participate in the life of campus and reconnect with their student. The event typically takes place in September. You can visit the Family Weekend website to learn more! The Rhodes College Dean of Students Office supports the mission of the college by providing resources and services to students to help them integrate into the Rhodes Community. Our office is committed to helping all students meet their full potential. More than half of the first-year students bring a car to campus, but it is not necessary. First-year students who bring a car to campus are required to register it and park it in the First-year Parking lot located behind McCoy Theatre. The Family Education Rights and Privacy Act is a federal law that protects the privacy of student education records. If a student would like to give someone else access to their academic information, a FERPA release can be requested from the Student Life & Registrar reception desk. Students will be assigned a campus mailbox number. The mailboxes are located on the lower floor of Burrow Hall. Students can ship packages for move-in to the Rhodes Mail Center one week prior to their move-in date. Meal Plans are required for all residential students. Meal plan selections are made during the housing selection process. Information about advising, registration, the major/minor declaration process, and AP/IB credit can be found on this page. Information about reporting procedures for concerns and emergencies can be found here. All first-time, first-year students at Rhodes must live on campus for their first two full academic years. Rhodes Express provides support for the offices of the Bursar, Financial Aid, and Registrar. SAS determines and provides reasonable accommodations on a case-by-case basis for students who have demonstrated a need for the services. Students can visit the Health Center for routine health concerns. The Student Counseling Center provides free and confidential individual counseling for all Rhodes Students.